From Nash to Diego Costa to Wayne Rooney, many of today’s sports stars trace their roots in the game back to games in the street or local park with friends. Years ago, nearly every instance of first contact was in a pickup game, such as street soccer, pond hockey, stick ball, or pickup basketball. The environment allowed players the room to express themselves, to fail without repercussions, and come to terms with the game on their own time, in their own way. Sadly, as we all know, this rarely happens anymore. Everything is organized. Play has been replaced by practice. Adults make the rules and run the show. Our first contact environment is often failing our kids. Once upon a time street soccer and free play was the norm. Then we became adults, we want to control it and make it organized. We forgot the child in all of us. When it comes to designing and determining a child’s environment, the child’s own voice is the smallest. This is one of fundamental drawbacks of today’s organized grassroots training. All authority and decision-making now resides with the adult coach. Research has shown that giving children a certain amount of autonomy can be a catalyst for developing essential characteristics and well-being. Even at this early stage team work and positive self- image bloom as the coach involves the child in the decision making process. A coach that possesses real understanding and skill will collaborate with the child in making the game appropriate, relevant and enjoyable. Once confident in her environment, the child will start to take the initiative, inventing games within games to come up with solutions to tasks that are both challenging and fun. A child’s first contact with a sport is the key to why children begin with sport and why they will continue. At this stage of development there is a need for a “there and then” experience. Children are there to play not practice. The first contact is a great window of opportunity. The focus should be on creating activities that are designed for fun, are intrinsically motivating and give immediate pleasure. Just like when children play. Essentially the sport/play must belong to them. THE AIM SHOULD BE TO CREATE AN ENVIRONMENT WHERE SOCCER, OR ANY SPORT, IS INEVITABLE, AN ENVIRONMENT WHERE IT HAPPENS BY ITSELF. Yet playing an actual sport was not the starting point. Our first steps on to the street were part of our mission to play. The environment made it inevitable that the sport, be it soccer, or hockey, or basketball, would eventually happen. The street satisfied the child’s natural holistic learning desire. A variety of skills and knowledge were developed in the company of others. Qualities such as social integration and respect helped develop confidence and well-being as the child felt more secure in his environment, thus becoming more actively interested and engaged in his surroundings. This gave him independence and some form of control over his own learning. Encouraging children to shape and develop the play as they go. This is after all what they do naturally. Asking kids what games do they like to play? Ask them how can you add a ball in to their games? Look to provide a natural competitive environment that enhances rather than overwhelms, which in turn inspires intrinsic motivation. See mistakes as part of the learning process. They need to be allowed to make mistakes in an environment where there is no fear of failure. The wrong environment damages confidence which in turn hinders learning. The right environment builds confidence and leads to better learning. Ensure minimal adult interference, but maximum adult encouragement! 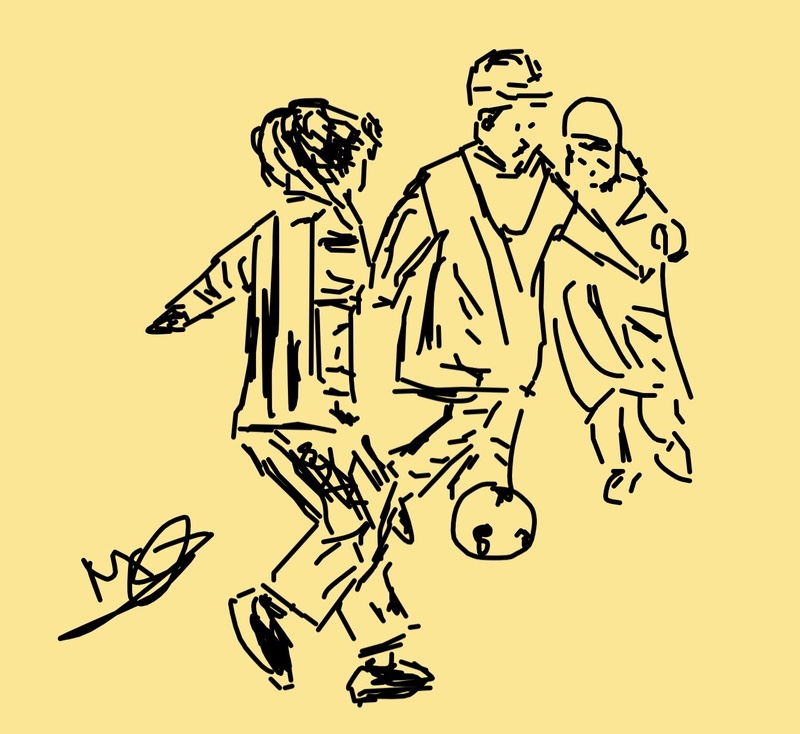 In his autobiography, Manchester United’s Wayne Rooney references the importance of the spontaneous street football games he took part in, as they instilled skill, passion, and a love of the game. “There was always someone to play football with,” he says. That statement, “There was always someone to play football with.” says so much. This is where Wayne Rooney spent thousands of hours playing football. This was his learning environment. This is where he learned to fail, to try again and to fail better. This is where his desire to succeed was born. Children who are allowed to self-organize and learn through our own discoveries become motivated children. They will take risks, push the boundaries of their knowledge and will be eager to learn more. We should never underestimate a child’s ability to learn complex movements and patterns quickly, when provided with the correct environment. Most importantly, we should never underestimate the importance of the first contact environment being one of the child’s own making, and not creating one that only suits the needs, values and priorities of the adults. Mark O’Sullivan is a UEFA A Licensed Coach and the Sports Director of Espanyol Nordic, a branch of Spanish La Liga Club RCD Espanyol. He is also the author of the FootBlogBall , writing and teaching about modern developments in coaching and teaching sport. As Mark says, “It’s not about how I coach. 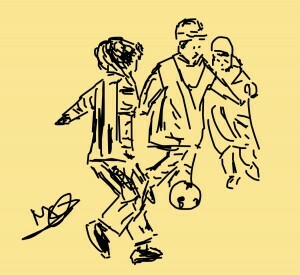 It’s about how they learn.” Read more of Mark’s groundbreaking work at http://footblogball.wordpress.com/. Previous PostBaseball’s Elbow Epidemic and Your KidsNext PostChanging the World – How?